Back started hurting about halfway through stacking wood. Went and put my brace on, which helped a lot, and got finished. 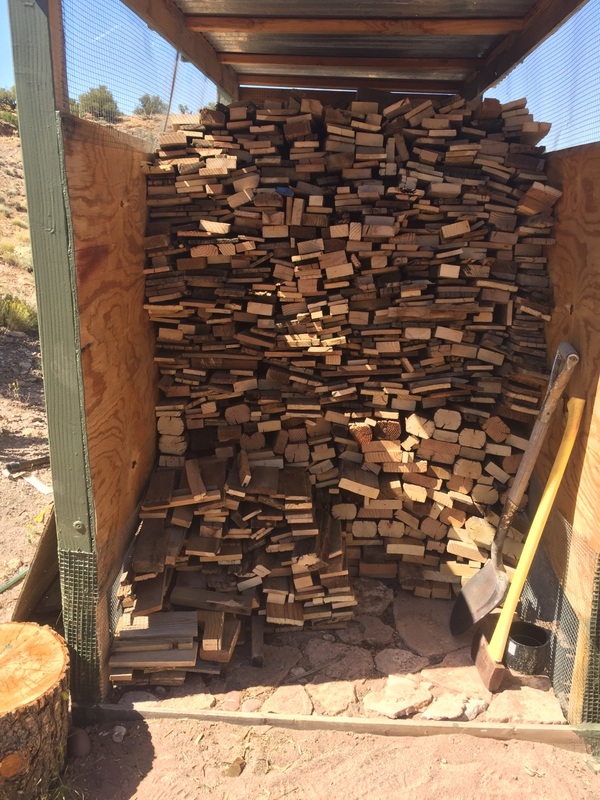 I really do want to finish that sixth tier just so I can say I did, but I’m probably done with firewood for a week or two. 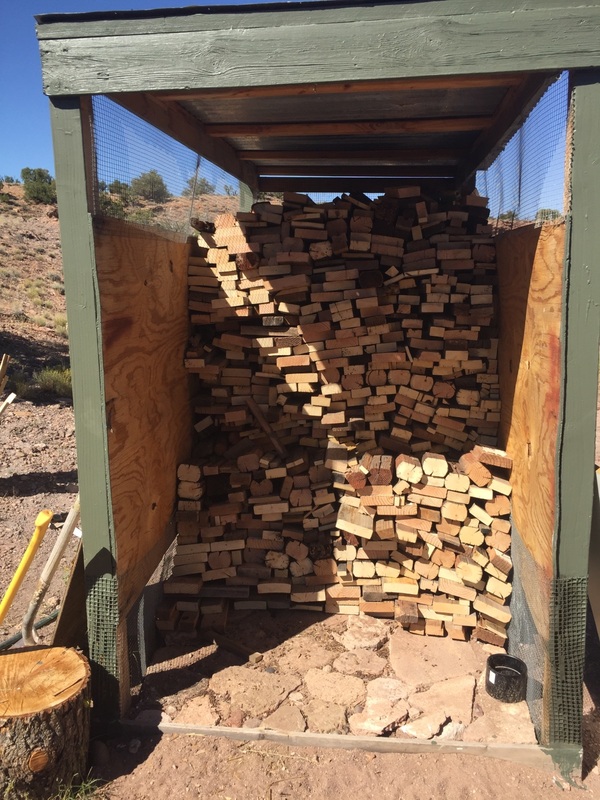 Yesterday I knocked down a dozen or so pallets, and so today’s job was to cut the pieces into stove lengths and get them stacked in the woodshed. 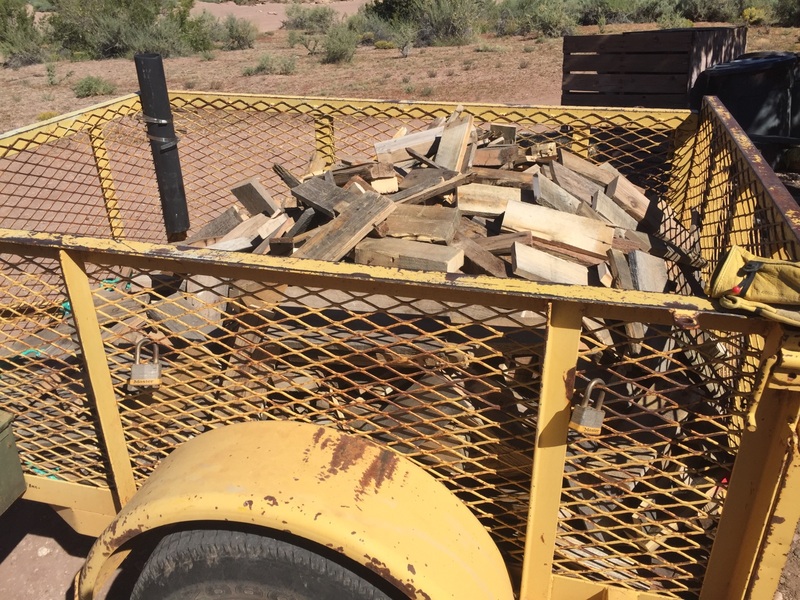 Since pallet wood is mostly thin, a day of tearing them apart can result in a disappointingly small stack of firewood. But this lot did fairly well. That round won me more stovewood than expected – and quite a lot of it is nice dense hardwood, too. But – you’d think I’d have learned by now – I’m not drinking enough water while working for hours in the sun, and by the time I got back with my load I was already reeling a bit. Drank water while stacking (six wheelbarrows, heaping full) and got it done. But sometimes I get the impression that I’m not as young as I was at 25. I’ve worked 10 and a half hours in the sun over the past three days, which used to be nothing. And not even work working, you know, like ditching or something like that. Just wood cutting and hauling, and tearing pallets down. Shouldn’t have been all that bad. I was fine Thursday, tired but okay yesterday, and really feeling it today. So light duty for the rest of today and tomorrow? I’ve noticed I need more recovery time as I get older. I wish someone had explained when I was younger, that I was, in fact, not invincible and any abuses I heaped on the ol’ bod would come back and bite me as I aged. Not that I would have listen, mind you. Hope you got all your tools put up! It looks like hurricane Rosa could be headed your way. Wow! Six wheelbarrows of water is some serious hydration. There’s a lot of spillage. You know, your back would thank you if you started by putting the brace on, before you rehurt yourself. As a guy with a bad back, I know this. And what about electrolyte powder mixed in your water? Didn’t someone send you some packets or the liquid? Faster recovery with it, less dehydration effect if you drink it as you go.